Brother's Inc. was established on March 4, 1981 and is a privately owned and family operated electrical contracting company headquartered in Broomall, Pennsylvania. At that time, Brother's had only three employees and has since grown to employ a staff of over 180 electricians and administrative employees. We have a fleet of over 95 trucks and we service the tri-state area. Brother's has two offices in Pennsylvania located in Broomall and Souderton. We have two offices in New Jersey located in Egg Harbor and Hainesport, and we have one office in Clayton, Delaware. 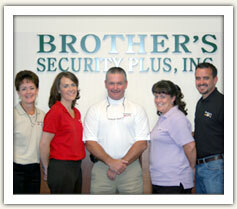 In 1994 Brother's Inc. expanded its operations and opened Brother's Security Plus, Inc. which offers the latest in home security, home theater, whole house audio and telecommunication systems. The creation of Brother's Security Plus, Inc. allows us to offer our builders and homeowners "One-Stop Shopping" for all of their security and home technology requirements. Our Commitment To Excellence equality workmanship, along with our top notch customer service has truly set us apart from our competition. A combination of our superior service and state-of-the-art equipment actually demonstrates our commitment to the builders and especially to the homeowner. In 2002, Brother's Inc. expanded its operations into the Commercial market with the acquisition of Rice Electrical Contractors, Inc. We now specialize in various commercial applications, which include office buildings, shopping centers, country clubs, parking lot lighting, mid-rise residential, churches and car dealerships. The team at Brother's values all of our business relationships and we take pride in what we do. Over the years, we have established affiliations with some of the best builders in the construction industry including Toll Brothers, Inc., Pulte Homes, K. Hovnanian Builders, Nolen Companies, D.R. Horton, Ryan Homes, NV Homes, Traditions of America and Thompson Homes, just to mention a few!